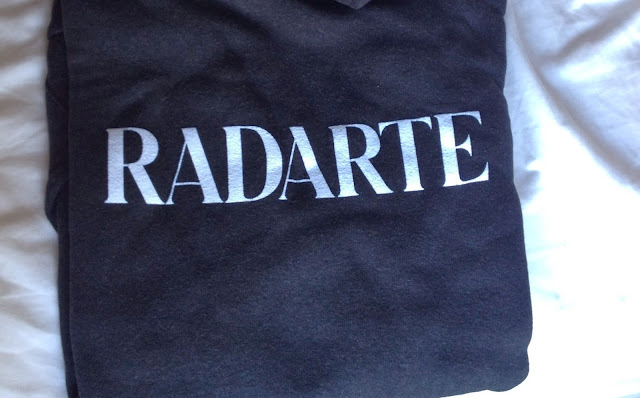 Today's Rodarte sample sale at the Ace hotel was scarcely stocked but a shoppers were still content with some of the bargains. There were two racks of clothes at the sale where one of them consisted of collabs (Rodarte for Target, for Gap and Opening Ceremony) and all going for $10. 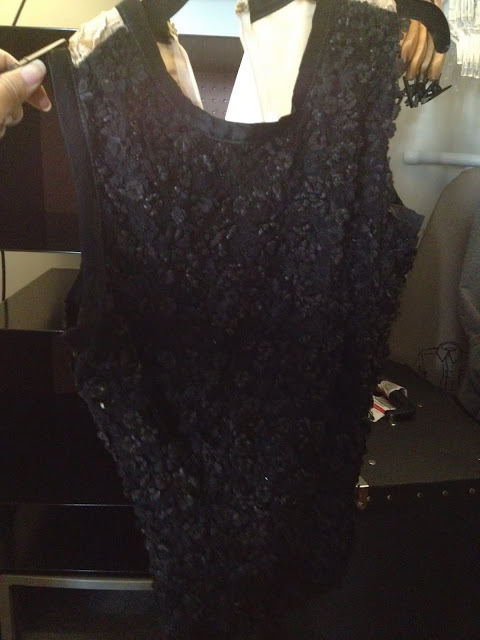 Some items such as bathing suits and camis were let go for $5 and were quickly taken up. The first 5 shoppers probably swept half of the rack away. The bargains were also Rodarte X Opening Ceremony shoes from previous sales going for $10 (only size 7). The second rack had samples and collection pieces and prices ranged from $40-$2000. 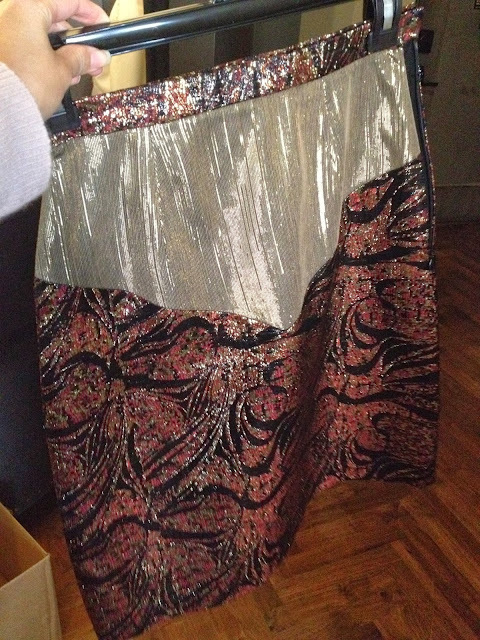 I found sample skirts and tops in size 0-2 for $40 and sample dresses for $100. 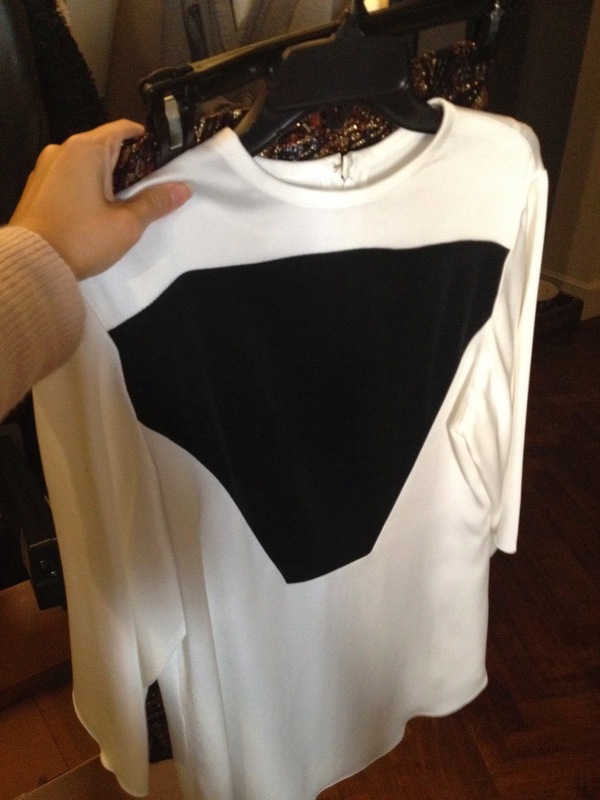 I also spotted some runway pieces such as this Fall/Winter '13 dress and this one, this runway SS13 silk top ($600) and this sweater ($1000?). 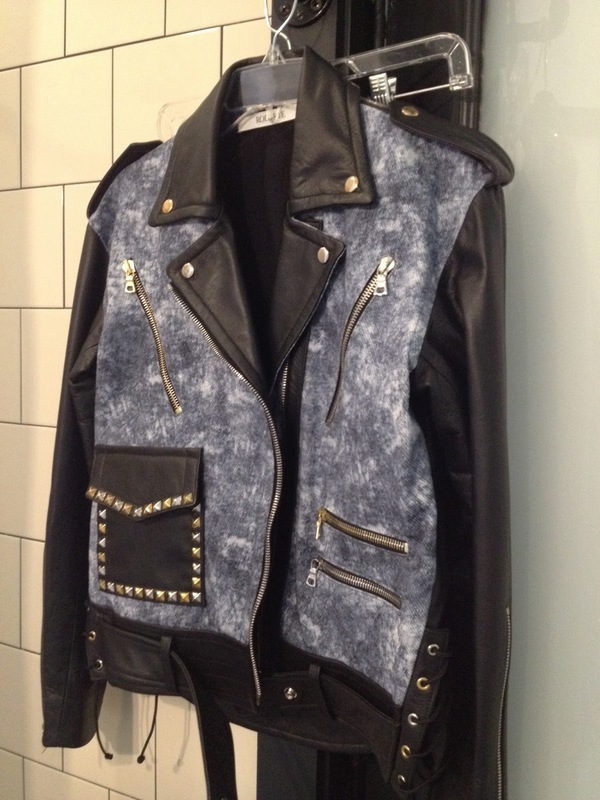 There were also some studded leather jackets for $2,000 (retail $4,385) or leather jackets with denim for $1,700. Runway wool sweaters were going for $500-$1200 by the cashier which no one really looked at. In front of the cashier desk, abundant selection of sweatshirts, hoodies ($80) and tees ($60) for Opening Ceremony were found in 4 different boxes separated by sizes (XS-XL). Jewelry? By the time I got there, there were two pairs of barb wire earrings for $150 (ret $220 but sold out), one necklace and a dragon ear cuff from the SS14 barb wire runway look going for $200. In all, I got two pairs of shoes for $10 each and a sample dress for $100.